We know our wounds, our prisons. Jesus stands at the door and knocks. He comes in. They knew it was Jesus because of His wounds. The apostles in self imprisonment on account of the fear of the Jews, Jesus stands in their midst: Peace be with you. John, Peter and the apostles are imprisoned for preaching Christ and His “Peace be with you”. But there are only two types of prisons in today’s Scripture readings: imprisoned on account of the Word of God and imprisoned by our own fear and unbelief, not taking Jesus at His Word. Jesus frees in all our prisons. The doors were locked and Jesus stood in their midst. Jesus came into the locked hearts of His apostles by filling them with the Holy Ghost for faith. How? He did not need a key. Jesus Christ is the Key. Jesus sends the apostles into the world locked in sin and death with message of forgiveness and eternal life, preaching Christ Jesus and Him crucified, risen for our justification; because Jesus Christ is the Key. Jesus Christ shows His fleshly wounds from His Crucifixion for you and I and by His wounds we are healed. And yet He came into a locked room. He, the very Body of Christ came into that room. No spirit, no ghost, no ethereal being of pure spirituality walked through those walls because John reports Thomas could put his hand into His side. How? You can not place your hand into a ghost. The Bible does not tell us but here is a reasonable answer: when we swim and the density of our bodies is greater than the water and so parting the water, so the utter density and reality of His risen Body could part the walls (insight from Jim Prothro). After all: this is our Lord and our God. Jesus Christ is greater than sin, death and the power of devil. We think that unholy trinity constitutes reality but sin, death and the devil are finally unreal, even surreal. The devil loves the saying better the devil you know. Jesus says do not know him. As if the Lord were saying: I have known you. I have passed through your sin, your death and the power of the devil holding you in fear of death. I am more real, endurable than your sin and death itself. I have tasted death for you all and I am not ashamed to be your Lord and your Brother. I am the Passover Lamb of all time and for you. I have passed through the flood. “Fear not, I am the first and the last, 18and the living one. I died, and behold I am alive forevermore, and I have the keys of Death and Hades. The Lord’s will is for others to know Him, the key. O come, thou Key of David, come, and open wide our heavenly home; make safe the way that leads on high, and close the path to misery. ‘The words of the holy one, the true one, who has the key of David, who opens and no one will shut, who shuts and no one opens. His wounds are the faithful Word of God’s forgiveness for each and every one of us. He opens our prisons. He comes into our hearts. Confession and absolution is aptly titled, The Office of the Keys. If one resists the Holy Spirit, the door is locked and shut, and sin is retained It is the prospect of eternal sadness. If he repents, the door is open and joy floods through His Wounds of grace for us all. The message of the imparting of the forgiveness of sins, in Christ, is so needed in these dark days. Though you have not seen him, you love him. Though you do not now see him, you believe in him and rejoice with joy that is inexpressible and filled with glory, 9obtaining the outcome of your faith, the salvation of your souls. This is the very same Peter who heard the risen Christ say to Thomas His beatitude, “Blessed are are those who have not seen and have faith. Thomas was told by His brother apostles Christ is risen. Then Thomas made his famous statement, Unless I put my hands in his side, etc. I will not believe: but Thomas did not believe the eyewitness of his brother apostles! The brother apostles did not believe the eyewitness of their sisters in Christ! Thomas did not believe the Word of God. He then heard the Word of God, the Word of Christ, Thomas, put your hands in my side. Different than the old song, put your hands in hand of the man of Galilee, is Put your hands in the side of the man of Galilee. Thomas heard and believed. These are written that you believe. Remember, the prowling lion the devil, seeking someone to devour, and the devouring sinful flesh, has tried to do a number on the Scriptures now for a century or more. The result is we do what we want to do (Old Adam) and in the last century genocide, wars, and terror inside and out, has been unleashed upon the earth as never seen before in the history of mankind. His wounds seek a wounded mankind. Second: Easter is 50 days. In forty days after the Resurrection Jesus bodily ascended into heaven. Ten days later Pentecost. On the day of Resurrection, Peter and the apostles locked themselves up for fear of the Jews.. Understandable: if their leader was crucified, then…In fifty days, Peter faced imprisonment, and possible death, for preaching publicly in the Temple (! ), “We must obey God rather than men”. The same Peter who denied Jesus three times, What happened? Jesus happened. 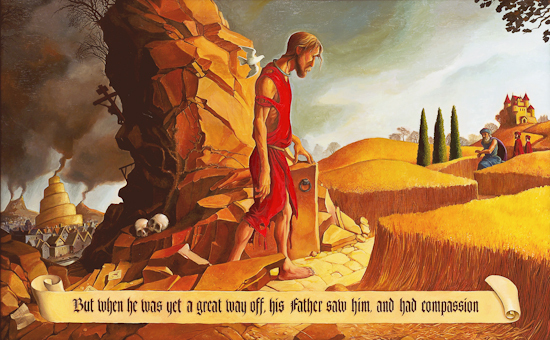 Peter denied Him thrice and thrice the risen Jesus charged Peter: Feed my sheep. Only one explanation is needed and it is written in the Bible and in the witness of Christ’s Church: Christ is risen. .Bodily and spiritually, the risen Lord sought Him after the resurrection to unlock him and the apostles. If Jesus had not bodily risen, Peter and company would have eventually left that locked room scurrying away like rats a sinking ship. But the ship had not sunk, for the captain was on board as He was that time on the Sea of Galilee in the storm, walking on the deep. He is risen. They went out with the message of forgiveness, the Word of His Wounds, the crucified and risen Lord. Jesus did not primarily give a new religion, but He ever gives new life. We need His breath, the breath of the Holy Spirit day by day. Joseph Smith, Mohammed, Buddha do not have wounds and are not risen. They are breathless and Spirit-less. The false gods of Joseph Smith and Mohammed will even assert Christ rose…but not in the wounds of our eternal forgiveness. They just established man made religions with enough of the actual Law of God to make their religions seem real, hard and doable. They do not bear the cross. Jesus is real and risen. We do not preach religion, we preach Christ and Him crucified. Christ Jesus sends the Church with the actual Law of God, and the actual Gospel of God, the actual Word of God, in the Holy Spirit to the glory of God the Father. The world is locked up dying to hear of Jesus Christ’s indestructible forgiveness, the key of the Kingdom, faith more precious than gold, than what is seen, for even diamonds are not forever, is forgiveness in Jesus Christ, and this is always key, by His wounds ye are healed, In the Name of the Father, and of the Son and of the Holy Ghost. Amen. Some of you may remember the child’s rhyme about the Church above. In The Large Catechism, Dr. Luther explains that when we think of “church”, we usually think of the church building, as “we are going to church”, but he points out that the only reason a sanctuary is called a “church”. “But the house should not be called a church except for the single reason that the group of people assembles here.” The people who assemble are the Church, the communion or the community, “the holy Christian Church” (Third Article of the Apostles Creed). The rhyme above could be redone: “Here’s God’s House, here’s the steeple, open the door and see all God’s people.” We have spent a lot of time of fussing over the church building, instead of concentrating on building up God’s people, His Church. This is done by preaching, teaching, praying and administering Christ’s Word and Sacraments. As the Apostle Peter wrote: “As you come to him, a living stone rejected by men but in the sight of God chosen and precious, you yourselves like living stones are being built up as a spiritual house, to be a holy priesthood, to offer spiritual sacrifices acceptable to God through Jesus Christ” (1 Peter 2: 4-5). Further, this building up of Christ’s holy people, His baptized saints, is not according to our building specs, plans and blueprints. We are being built, passive tense. In my cynical moments, I have redone the rhyme above, “Here’s the church, here’s the steeple, open the door and where’s all the people?”. And sadly stats and surveys have been documenting the downward spiral of church attendance. Well-meaning Christians cry out: “We’ve got to do something!” Then come the ways to save the church. We seen what happens when men and women build the church according to their best laid plans of mice and men: see the Mormons, see the feminist church, e.g. as “womanchurch”. Those are the more obvious examples of not building according to God’s Word. Over the years, I have seen “models of ministry” paraded before pastors’ groups, and new programs like mega-church. Remember harvest gold refrigerators, kulats, dickies, and the like? We most likely want to forget them all! As I do all those programs that steered us away from God’s Word. Fads don’t build up His Church, only the labor of love of God’s Word in His saints by faith through His grace alone in the unity of the Holy Spirit. Roman Catholic G. K. Chesterton wrote that the Church is the democracy of the dead, those saints before us have a vote. This is what All Saints is also about. When we gather for Holy Communion, the pastor will pray, “…with angels and archangels, AND ALL THE COMPANY OF HEAVEN…”, even with 2 or 3 gathered together, there are countless more! The saints before us were built only by one way: the Word of Law and Grace. We are called to keep the faith with the dead, who live in Christ waiting together the day of the general resurrection. 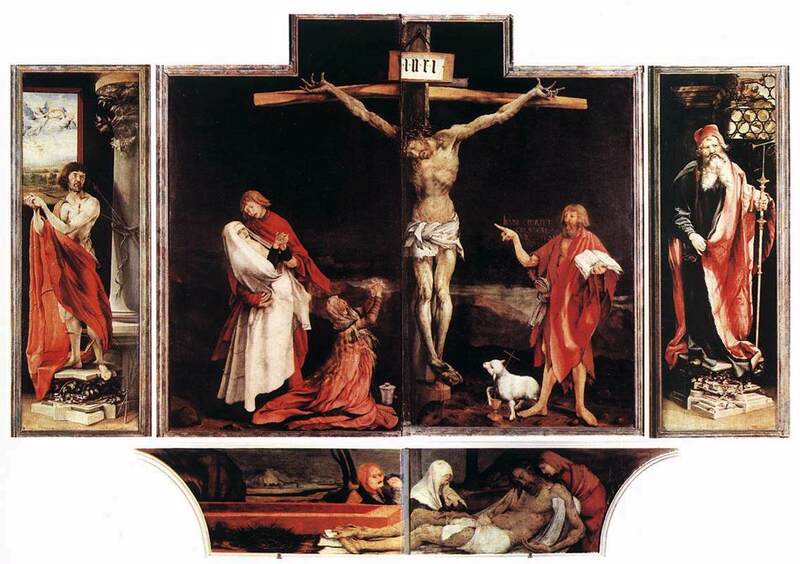 Yet, the saints labor and the saints who have died, “…from their labors rest” but who Thee by faith before the world, Thy Name, O Jesus, be forever blest, Alleluia!”(#677, For All the Saints, Lutheran Service Book). I think we are entering ever darkening days, in which the little flock will be persecuted…but that’s how it’s been in times past. As in hymn lyrice, the saints confessed Jesus Christ. This is our calling from the Lord to His Church this day and every day, for every day in Christ is All Saints Day. I close with this quote from Pr. Bonhoeffer’s sermon from 1933 in Berlin after the Germans under the Nazis voted in “the whore of Babylon” the “German Church” totally compatible with National Socialism, that is the Nazi ideology. …it is not we who build. He builds the church. No human being builds the church but Christ alone. Whoever intends to build the church is surely well on the way to destroying it; for he will build a temple to idols without wishing or knowing it. We must confess-he builds. We must proclaim—he builds. We must pray to him-that he may build. We do not know his plan. ‘We cannot see whether he is building or pulling down. It may be that the times which by human standards are times of collapse are for him the great timesof construction. It may be that from a human point of view great times for the church are actually times of demolition. It is a great comfort which Christ gives to his church: you confess, preach, bear witness to me, and I alone will build where it pleases me. Do not meddle in what is my province. Do what is given to you to do well and you have done enough. But do it well. Pay no heed to views and opinions, don’t ask for judgments, don’t always be calculating what will happen, don’t always be on the lookout for another refuge! Let the church remain the church! But church, confess, confess, confess! Christ alone is your Lord, from his grace alone can you live as you are. Christ builds. And the gates of hell shall not prevail against you. Death, the greatest heir of everything that has existence, here meets its end. Close by the precipice of the valley of death, the church is founded, the church which confesses Christ as its life. The church possesses eternal life just where death seeks to take hold of it; and death seeks to take hold of it precisely because it possesses life. The Confessing Church is the eternal church because Christ protects it. Its eternity is not visible in this world. It is unhindered by the world. The waves pass right over it and sometimes it seems to be completely covered and lost. But the victory is its because Christ its Lord is by its side and he has overcome the world of death. Do not ask whether you can see the victory; believe in the victory and it is yours. O God, You have prepared for those who love You such good things as surpass our understanding. Cast out all sins and evil desires from us, and pour into our hearts your Holy Spirit to guide us into all blessedness; through Jesus Christ, Your Son, our Lord, who lives and reigns with You and the Holy Spirit, one God, now and forever. Grace, mercy and peace be to your from God our Father and our Lord and Savior Jesus Christ. Amen. The text for the sermon is the Gospel. “It was pandemonium. “All hell broke loose.” “There’s hell to pay.” We cannot pay the price. Jesus Christ has bought us, redeemed us. He did not owe the devil anything, but we owed everything according to the Law. He redeemed us, forgave us with His own blood. The man with a Legion of demons in his brain, heart, soul and mind and body could not pay the price to be set free. None of us can, Jesus Christ has. We cannot do what the Law commands to be right with the Lord. Jesus Christ has. Jesus Christ did by His Word. His blood backs up His Word. His body broken is for those whose hearts are broken. God’s Word is backed up by the faith and good credit of no nation, but of God Himself for you. Right away, as soon as He lands on the other side of GalileanSea, He is met by Legion, screaming and falling prostrate before Him. The man fell down before Him, not in adoration and devotion, faith and love, but the demons in abject fear of the miserable foulness of the demons. They brought the man to his knees. Pandemonium and hell and the abyss are not a good time. Always in chaos and turmoil is bad, downright evil. The demoniac was naked, living in a graveyard, and so probably communicating with the dead, eating swine, chained by the townspeople to spare them, breaking the bonds with supernatural strength. Naked and unclean sounds like many a TV show, so much internet content, foul rancorous profane conversations in the best of places, life in a many a church and families. Pandemonium and hell is not the condition that the Lord wills us to live in. “Go to hell?” No the Lord has a better plan, also for the man in the Gerasenes. Jesus Christ fought for the man in the Gerasenes. He has fought for our eternal freedom, fights for you and will fight, contends for you with His salvation He has won for you. He is yours and we fear no powers, not of earth nor sin nor death, He sees and blesses in worst distresses, He can change them with His breath. I think J. K. Rowlings, the author of the Harry Potter movies, just may know a bit about the Bible. When “he who shall not be named”, Voldemort, the dark lord, an unclean spirit if ever there was one in fiction, finally occupies a body again, turns up to fight Harry with his enslaved minions, to rule all things. This initial fight in the series is in a cemetery, among the tombs, it is dark and filthy. Isaiah tells of Israel among the tombs, eating the unclean and worshipping the unclean gods and goddesses who are really demons, communicating with the dead. Such is evil. Evil spirits, and the devil, think they are spiritual, devoid of a body, but they need a body to function and torment and torture. This is proof that we were created spiritually as bodies. The Gerasene demoniac lived among the tombs, chained by the people there, but the demons broke his chains to go roaming about. The folks were in terror. The devil is a terrorist. We are so concerned about terrorists and terrorism, the greater threat are the terrorists of the body and soul, and the greatest terrorist is the devil and darkness. I have no stat but I maintain that more people die from the terrorist attacks on body and soul than all the political terrorists, left or right, combined. This lesson is a lesson in stark contrasts: dark and light, naked or clothed. Clothed and in his right mind…he was without clothes, naked. We live in a naked society. Our culture revels in nakedness, stripped of reason, void of holy love, lusting for more and more. At one time it could be said, they live like pigs. But we are baptized to live as men and women freed in Christ Jesus. How did Israel and this man come to such a time and place and life which is not living free in Christ Jesus? Concerning the demoniac, we are not told. The Old Testament, the reading from Isaiah, though, gives us a big clue: they followed their own devices. The devil never comes a’knocking, “Hi we are the powers of darkness come to enslave you.” “Oh, sure come on, slap on the cuffs.” The fruit was a delight as sold by the serpent, we told, to Eve’s eyes. As it is written, Satan disguises himself as an angel of light. What harm could it do? You know better than all those oppressive ways of mom and dad, Church, Bible and God. You will really be free. They come disguised as workers of righteousness and goodness, false apostles of Christ. Hey, this sounds good, it even sounds, well, spiritual. As John Milton has Satan say in Paradise Lost: “The mind is it’s own place and it can make a heaven out of hell, and a hell out of heaven.” We all know that is true, and again, left to our own devices. As Isaiah tells us that Israel thought it was so holy in it’s evil, Oh don’t come near me, I am too holy for you. So ‘spiritual’. It is not incidental to the narrative that the man without clothes is clothed at the end of the narrative. We heard from Galatians: For as many of you as were baptized into Christ have put on Christ. It can also be rendered as “clothed in Christ”. I cannot prove it but that passage gave someone the idea of the Christening garb. Baptized and clothed in Christ, sins covered by His soul-renewing flood. I was not merely baptized, I am baptized. A husband or wife will say, I am married, not I was married. If they say I was married, it means the marriage is over. The Lord does not leave us to our own devices. You are baptized and this is our life in Christ Jesus and it is utter gift. Now don’t get me wrong: the Lord can be terror, see Mt. Sinai. In Romans 13, it is written that the ruling authorities are a terror to bad conduct to those who break the civil law. The Ruler of all can be terror by His Law showing us our iniquity and He does so to show us His Son, Christ Jesus and His Cross, His blood, His righteousness. 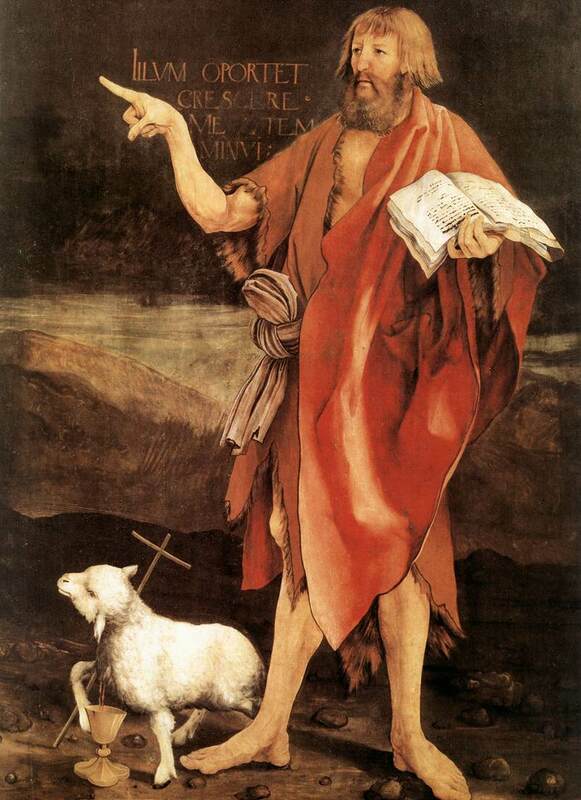 Almighty God,through John the Baptist, the forerunner of Christ, You once proclaimed salvation.Now grant that we may know this salvation and serve You in holiness and righteousness all the days of our life; through our Lord Jesus Christ, Your Son, who lives and reigns with You and the Holy Spirit, one God, now and forever. The long bony finger says it all: it is John’s sermon visualized pointing us to Jesus Christ and in particular upon the Cross. There is our salvation, not in my heart and mind but in Jesus Christ so that the Holy Spirit bears witness to us all of so great a salvation, we must neglect the preaching (Hebrews 2:3). The Baptizer’s sermon recorded in John 1: 29 is only one sentence! Reading carefully the entire text, John 1: 29-34, the Evangelist reports no other people listening to John in this paragraph. We are the hearers of the Word. In fact, the whole world (in Greek, “world” is cosmos), is under the Cross, objectively, existentially and really. We are all sinners. 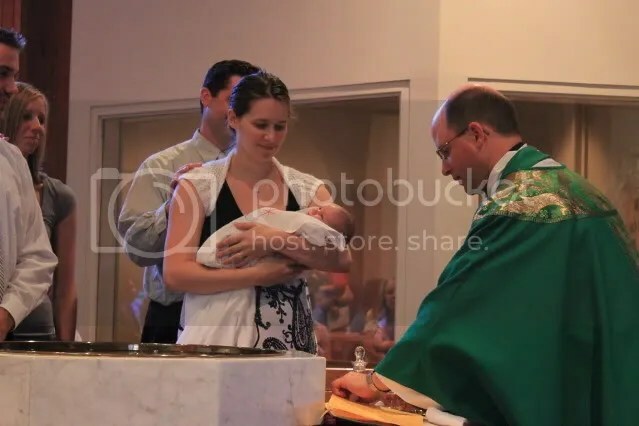 John the Baptizer points not to himself, not to man nor woman, not to His blessed Mother, not to our spiritualities but ever and only to Jesus Christ, and by faith in Him, we are His saints, with John, Paul, Mary and the whole company of heaven. The Lord’s finger pointing at us is His Law and judgment. The finger pointing to Jesus Christ and Him crucified is His finger pointing us ever to the pure Gospel for our lives day by day.